Even though Australia has stolen the show, Canada is one of the biggest keno playing countries in the world. As the game migrated from Asia to Europe, it quickly spread around the world. It hit North America with the new arrival of immigrants, & ended up all the way in Canada. Over the last few years the game has made a valiant comeback. Canucks go wild for keno, even though it breaks many stereotypes. From high stakes lotteries to bustling online casinos, there’s no shortage of options for punters in Canada. This may be surprising to many travelers, but it’s a godsend for Aussie punters who find themselves up North. We know it can sometimes be challenging to find good venues when travelling. Getting used to a new country is always interesting, since laws vary wildly just by crossing a border. This is especially true when it comes to gambling, so it’s essential to do your research to explore the available options. Since Canada’s keno scene is shrouded in secrecy, we decided to expose this thriving industry. By shining a light on their top institutions, punters can get in on the action. These are some of the best keno lotteries in the world, so they can’t be missed. For this reason, we compiled a list of the top Keno games in Canada. Prepare to find a new reason to visit this snowy country! This daily lottery is full of surprises! Keno Game #2: Atlantic Keno – This daily Keno lottery game routinely takes the front seat when it comes to gaming in Canada. It offers daily $10,000 jackpots, which is a ton of money to give out every day. Since they give out millions a year, people flock to this lottery. It’s generous attitude makes it extremely appealing to users. On top of being one of the top choices in Canada, it’s extremely easy to participate in. 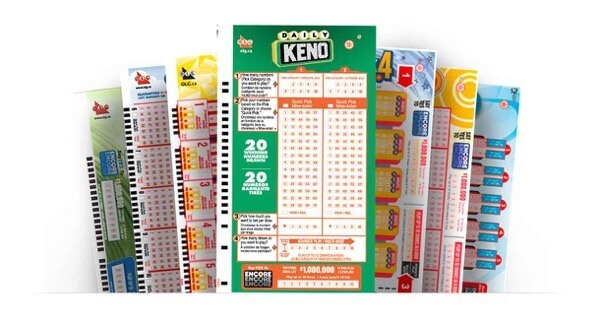 All users have to do to play is ask a local retailer for a KENO Atlantic selection slip. Each one has 70 numbers to choose from, so choose wisely. Punters can participate in the 2 SPOT with two numbers or the 10 SPOT with 10 numbers. After the set of numbers is picked, it’s time to pick how the amount you wish to wager. This ranges from $1, $2, $5 or $10, but the options don’t end there. A $2 Hi-Lo ticket with both a 2 SPOT & 10 SPOT can also be selected on one transaction. Users can also choose the TAG option for an additional dollar. This allows you to play a ticket up to 10 times. There’s also the option to purchase future draws by marking the Advance Play box on the slip. This allows users to choose anywhere from 2 to 10 draws. All in all this is a great lottery, so don’t miss out on it during your next trip to Canada! Celebrate Canada’s booming keno scene with their top lottery! Keno Game #1: OLG Daily Keno – Run by the Ontario Lottery and Gaming Corporation, this is hands down the most prolific Keno game in Canada. They have two draws a day that pick twenty winning numbers each. They have the same system as Atlantic Keno, but they make even more winners. On top of offering 22 ways to win, one in 39 tickets give a $2 win on a $1 bet. There’s a no reason not to play this daily lottery, since you get access to so many options to win!